Item # 154679 Stash Points: 3,499 (?) This is the number of points you get in The Zumiez Stash for purchasing this item. Stash points are redeemable for exclusive rewards only available to Zumiez Stash members. To redeem your points check out the rewards catalog on thestash.zumiez.com. 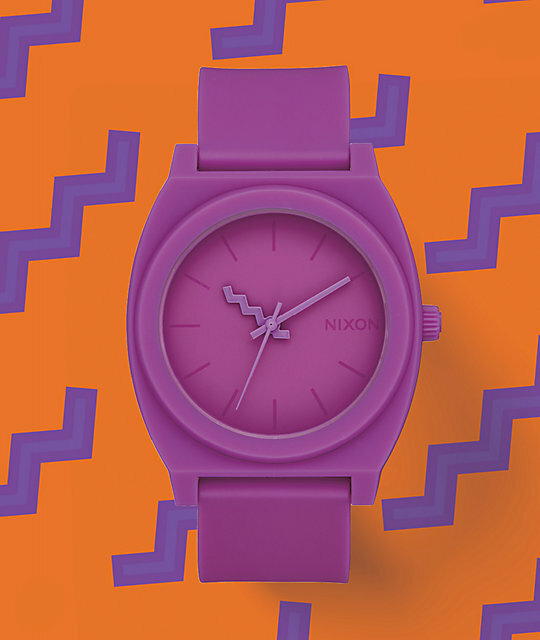 Purple, purple and more purple is the only way to describe this fun watch. 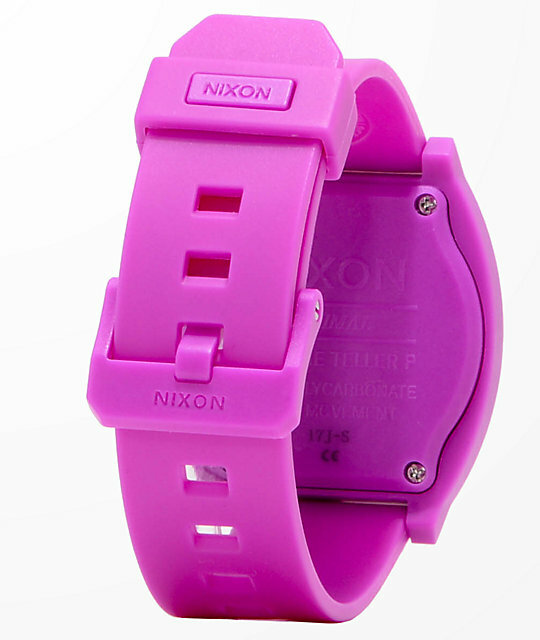 The neon purple Time Teller analog watch from Nixon is a perfect addition to your timepiece collection. 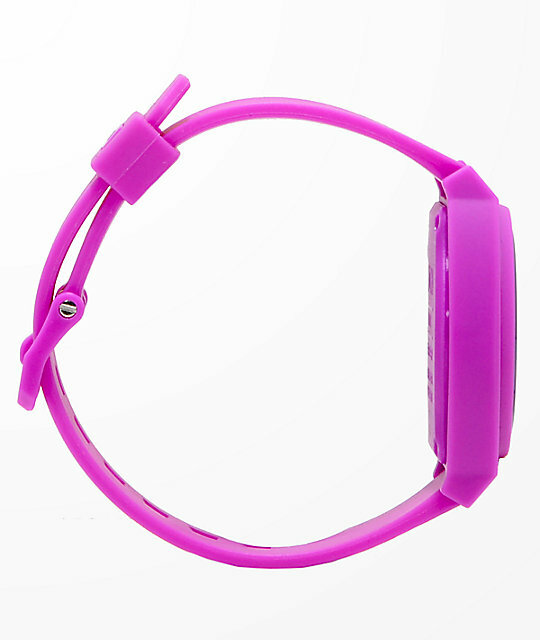 A neon purple bezel, case and band is perfectly paired with a neon purple face with custom molded purple hands including a squiggly hour hand for added pizazz. 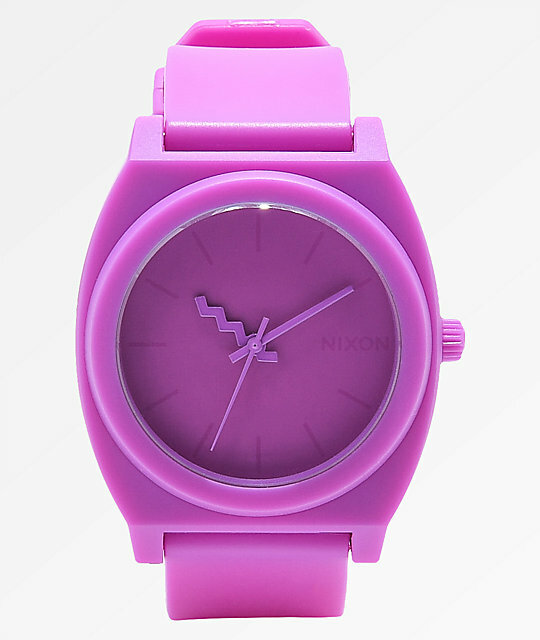 Time Teller Matte Neon Purple Analog Watch from Nixon. Custom 3 hand Japanese quartz movement. 2-year manufacturer's limited warranty covers defects in materials and workmanship.